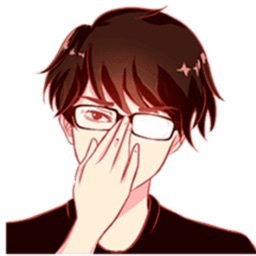 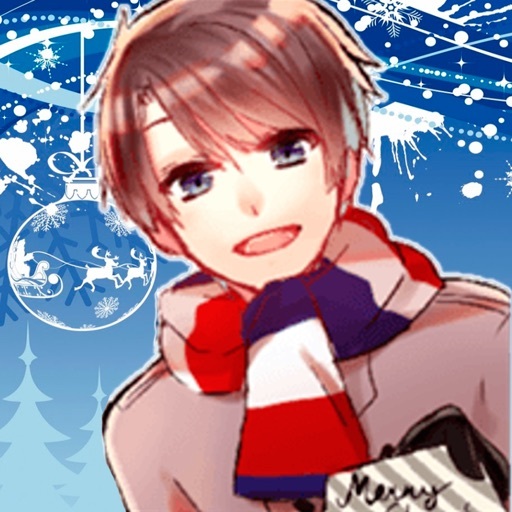 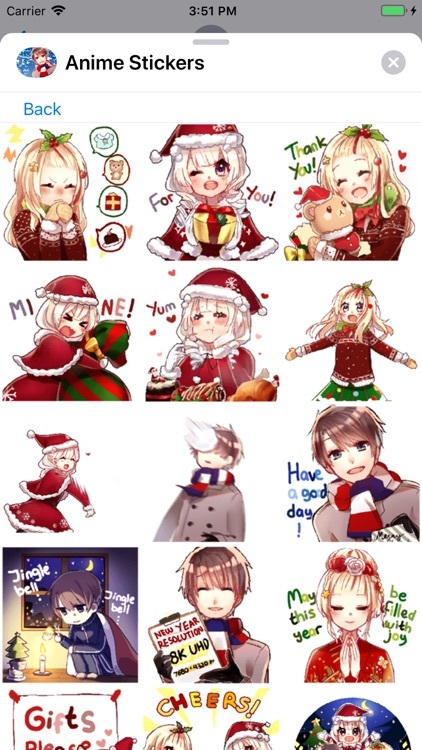 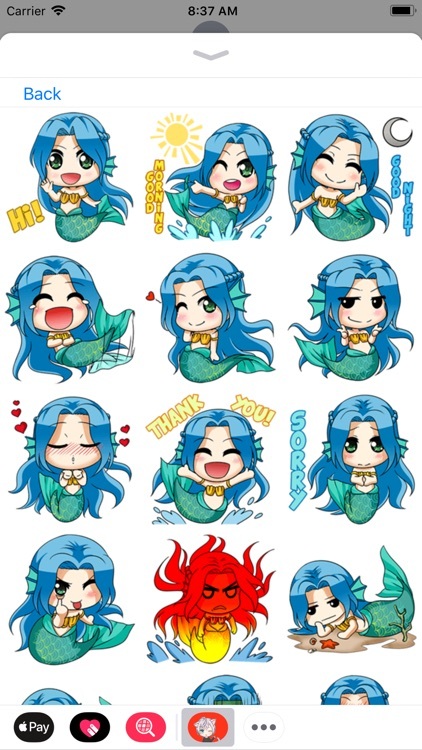 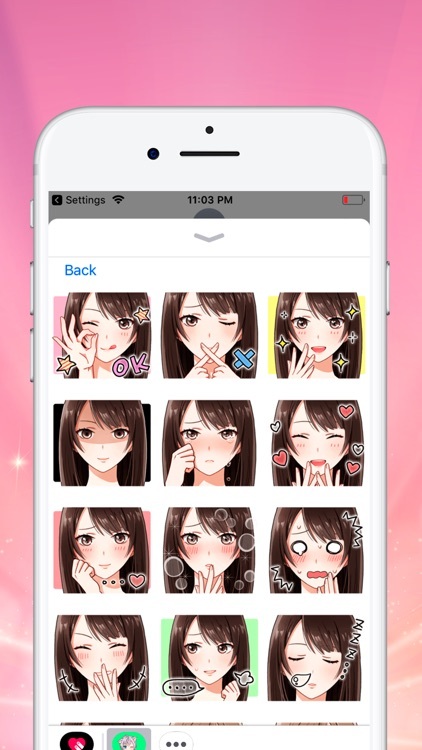 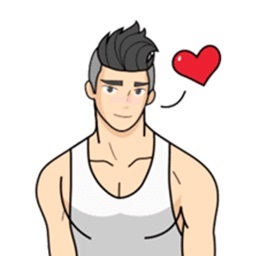 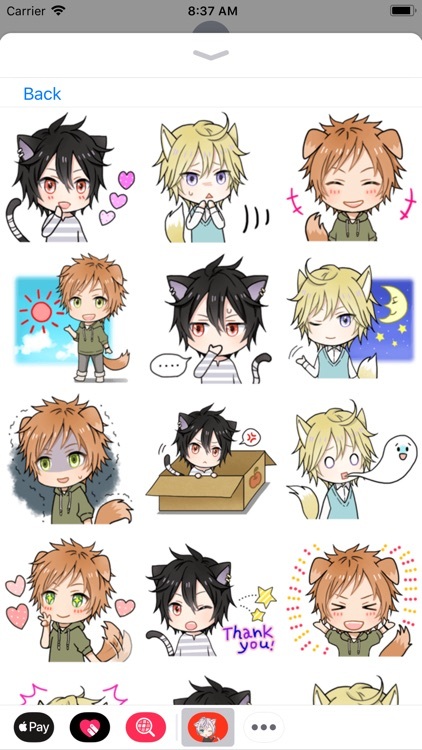 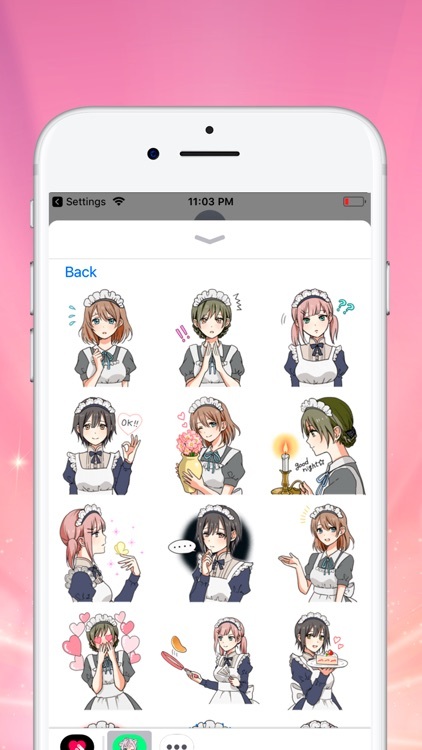 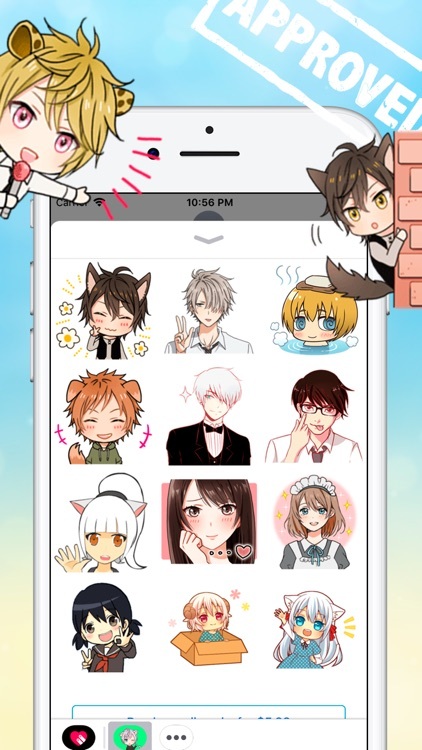 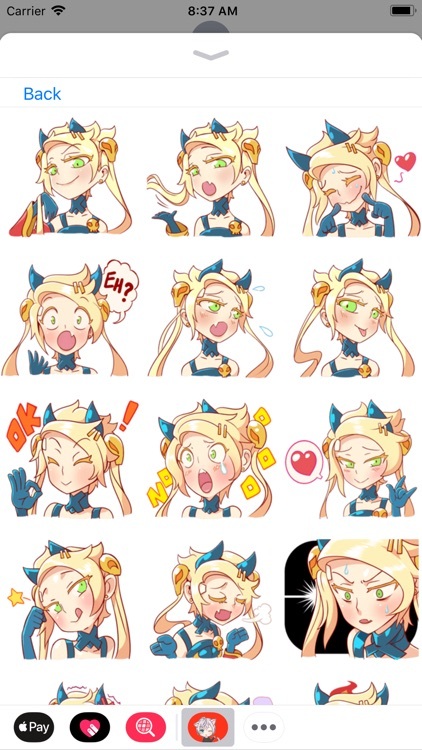 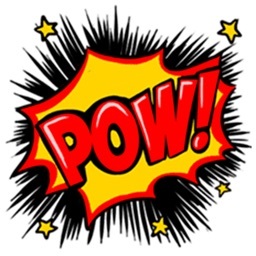 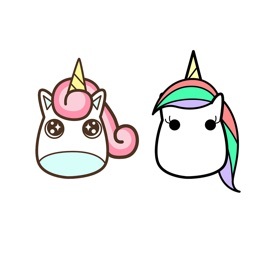 Amazing anime packs with many stickers to express your emotions and make you happier! 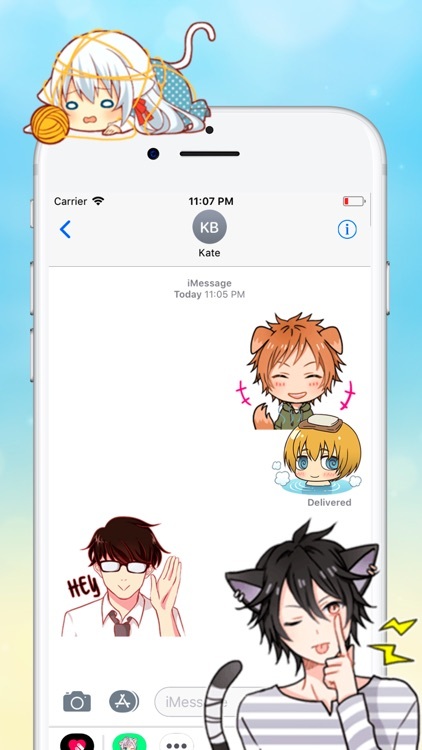 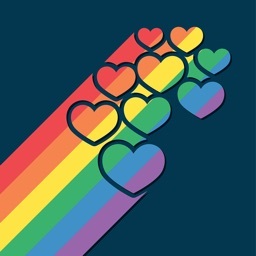 Use the entire sticker library as many times as you want, whenever you want and always find the right sticker to share with family and friends. 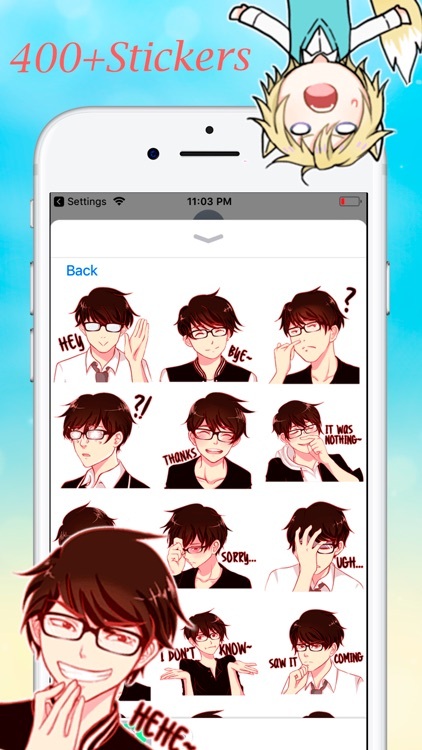 Step 2: Tap the app button that appears (it looks like an "A") and then tap the button that looks like boy in the lower left.